I made waffles! But unfortunately no photos - between whipped egg whites, flour, hot pans and ladles of waffle batter everywhere, not to mention the fact that my sister gives me the strangest looks whenever I take food photos (and it was her breakfast), it just didn't go down like it should have. Ah well. I still have the recipes! The first one I'm passing onto you is the type of waffle that I like to eat - low-fat, high-fibre, vegan and protein rich too! Mix flours and baking powder in large bowl. Combine tofu, applesauce, vinegar and water in blender or food processor. Blend until smooth. Pour into the flour mixture and mix smooth. Add extra water if needed, batter should be pourable. Spray waffle iron with non-stick cooking spray. Spread batter fully over grid and close. Cook waffle according to your iron’s directions. Repeat till batter is gone. Serve warm. Here are my sister's favourite waffles - she always eyes me suspiciously when I make them, asking me if they'll "taste like mom's". The verdict this morning?? They do, oh yes, they do! Beat egg whites until stiff, but not dry. Set aside. In a separate bowl, whisk the egg yolks, salt and sugar until lemony and light. Combine milk and butter, beat into yolk mixture. Combine the dry ingredients and beat into the yolk mixture until smooth. Gently fold in the beaten egg whites. Cook in your waffle iron according to the manufacturer's directions. By the way, if you have leftovers that you just can't put away, pop them into freezer bags for home made eggos later on in the week! A stay in the toaster = crisp, hot Sunday mornings, whenever! This weekend, for many Canadians, is one we look forward to all Spring. For mo st of us lucky ones, the Canada Day weekend means time to relax and take part in one of the gazillion events, fairs and festivals around the country. For the unlucky ones who have to work on July 1st, take solace in the fact that you get time-and-a-half pay, and that Timmy's is open! For me, Canada Day always involved a trip to one of the municipal events, most often my hometown of Ajax's lakefront festival. From about 11AM until the fireworks at 9PM, the waterfront was full of bustling activity for all ages - magic shows and musicians (both for the childhood and adult crowds), petting zoos, jumping castles, a BBQ and in most recent years free henna tattoos by local artists. It was a great excuse to go out for an afternoon of free fun outside, and as long as we remembered the sunscreen it always ended with some very happy, exhausted kids, teens and adults cuddled up on lawn chairs and blankets watching the (usually disappointing) fireworks show. Unless, of course, you happened to be me - I HATE the sound of exploding close-range fireworks, though I love sparklers and the burning schoolhouse (but I think that's a favourite of all kids!). I would hide in the comfort of the car or house and watch through the window, or spend the entire show plugging my ears against the bangs of the explosives. I still do that to this day, no matter where I am - even when watching Fantasmic or EPCOT's light shows at Walt Disney World! One of the other main highlights of Canada Day festivities was always the "birthday cake". Usually it was a very large Canadian flag made out of several vanilla slab cakes, though last year (and possibly the year before) the delicious and (to me) better tasting Rice Krispie squares took the place of the cake mix. The kick of sugar was what all the kids lined up for - sometimes for hours - while their parents tried to brace themselves for the ensuing sugar high. It was this memory of the crispy, gooey squares that I wanted to preserve in blogging memory during Jennifer (The Canadian Domestic Goddess)' special roundup of Sugar High Fridays, aptly entitled Mmm... Canada!. Unfortunately, as with many things in this fickle foodie world, my luck would have it that there would be nobody around to share the pan of gooey sugar attack goodness with me if I made them. There was NO way I could eat a whole tray by myself, and the deal was severed completely when a pantry search revealed no marshmallows. Sigh. As luck would have it though, we DID have a source of Canadiana in our pantry, in a few forms! Between my (irrational, since I can't have it) jonesing for a cup of Tim Hortons coffee and my discovery of some very patriotic Coffee Crisp snack-size bars, a brand new source of Canadian memor abilia was created in a matter of 45 minutes or so in my kitchen. While the rain poured and pounded outside (scaring the dog half to death and making me worry our power would go out) I mixed up a heavily caffeinated basic brownie batter and threw in a bunch of chopped up candy bars. Right out of the oven, I knew we had a winner. Rich, deep coffee and chocolate cake studded with bits of wafer cookie... nothin' better for this Canuck! I'm taking them into my mom's work tomorrow as a thank you to the ladies - they're taking me out to lunch at the St. Lawrence Market in the afternoon and deserve a treat! So, for all you Canadians, ex-pats and wannabe's out there, take a bit of my culinary culture with you and enjoy your weekend! Lightly coat the bottom only of a 9' pan with nonstick cooking spray. Melt margarine in a large bowl. Beat in sugar and milk. Sift in flour, cocoa powder, espresso powder and baking powder, mixing until just combined. Cool completely on a wire rack before cutting. I know this is generally frowned upon in the food blogging community (especially since it's the birthday of Bread Baking Day! ), but I really couldn't afford m ore baked goods around the house than we had already - I think my family is starting to revolt. With three freezers and two fridges already packed to the brim, a fiance trying to pass his policing fitness exam and a dad who's moving in a week, there simply wasn't room for 3 or 4 loaves of bread or tins of cookies! But I digress. For those of you who aren't in the "Open Sesame" loop, I will explain. I found this neat quiz-style event through IMMB and immediately decided to give it a shot. Basically, each player is given a choice of one of four "mystery boxes" - whichever one you choose could be filled with a riddle about a vegetable, grain, fruit or spice. Then it's your job to guess what the "secret ingredient" is and respond to the e-mail. The sooner you guess correctly, the more points you gain (which bumps you up in long-term standings for prizes). When you get the answer right, you then have to make a delicious recipe with your secret ingredient and post it for all the world to see! Then comes the best part - voting! Public voting takes place for a week after the contest close date and the winner gets a gift! Sounds like fun, no? So, a recipe with sprouts... and wheat! Well, you've heard of sprouted wheat bread, right? Well, how about this! I did the next best thing to making a yeast bread when it comes to my family - a version of their favourite banana bread! Sprouted, cooked and ground wheat berries fill out this low-fat treasure. It freezes beautifully, and is full of fibre and nutrients. The texture is dense and moist like any good banana bread, but with a delicious hint of nuttiness from the wheat berries. This takes a while to do (as does anything with sprouts), but it's a special sort of bread! Need a tutorial on sprouting?? I used Bob's Red Mill's advice. Soak wheat berries in cool water for 8 hours. Drain, rinse and drain again. Put the wheat berries in a sprouting container (a jar covered with mesh or pantyhose works) and place it in a cabinet or closet out of sunlight. Rinse your wheat berries and drain them thoroughly every 8 hours for 2 days. Bring a small pot of water to a boil. Add sprouts, reduce heat and simmer for 30 minutes. Drain. Transfer sprouts to a blender or small food processor and puree almost smooth (you won't get a perfect puree - trust me!). Set aside. Preheat oven to 350 degrees, and grease a loaf pan. In a large bowl, combine flour, baking powder, cinnamon, ginger and salt. In a separate bowl, mix wheat berry puree, brown sugar, mashed bananas, applesauce, oil and vanilla. Add to the dry ingredients, stirring until just blended. Bake for 50 minutes, or until a knife inserted in the middle comes out clean. Cool in pan 10 minutes before turning out to cool completely. Those would be just four of the many words that would describe the lunch I made for myself yesterday while my mom and I watched The Bucket List. Light but perfectly satisfying, this Asian-inspired sprimp, noodle and vegetable bowl was everything I could have hoped for in an off-the-cuff meal! Most readers know I don't usually take photos of non-baked items, but this was just so pretty I couldn't resist! Store-bought (but Ontario - grown!) carrots and zucchini married perfectly with some just-picked radishes and green onions from my garden, and the shirataki noodles added some great body to the bowl. A dash of Ponzu sauce and a healthy sprinkle of red pepper flakes topped it off. Shirataki noodles are made from konjac flour - a high-fiber, low calorie substance that is great for the digestive system - but if you don't like them or can't find them cellophane or bean thread noodles work just as well. I also added shrimp to the recipe - as you can see - but you can swap in tofu, chicken, scallops or nothing at all depending on your tastes. As written it makes 2 large servings, but as a side dish or starter it would serve 4. Enjoy this fresh and light addition to Ruth's Presto Pasta Nights and Cate's ARF / 5-A-Day events! Bring a pot of salted water to a boil. Drain shirataki noodles, add them to the water and boil 2 minutes. Drain, and shock in cold water. Toss together shrimp, zucchini, carrot, radishes and onions in a large bowl. Place noodles on top of vegetable mixture. Mix Ponzu, chili flakes and water together. Pour Ponzu sauce mixture overtop the salad and toss well. I figured I would drop by the old blog and just leave a little note to let everyone know that I may not be writing a long post for a little bit at least, I've messed up my wrist (combination of kneading bread and knitting blankets!) so typing is less than fun at the moment. However, I have entries for Bread Baking Day, SHF, and Open Sesame lined up (at least in theory!) so stay tuned for that. Heck, I may even get a PPN post out this week too (oh, the lofty ambitions!). I'm also still working on revamping my labels list and my blogroll, so those are some changes to keep an eye out for as well. For kicks though, since this recipe won't really be relevant if I miss posting it t oday, I'm passing along an Italian meal to help bring in the Summer Solstice (though I do know it was yesterday!). Vermicelli Alla San Giovannello is also known as Midsummer Pasta, since the evening of the longest day of the year this dish is served: symbolically long cuts of pasta with a simple sauce of olive oil, garlic, anchovies, and tomatoes. It's your basic puttanesca recipe, pretty much, but it is delicious nonetheless! *Note - the recipe is traditional Italian, but the photo's from Food Network! I didn't get a chance to throw this together yet. Heat olive oil in a large pot. Add garic and cook until soft, 3-4 minutes. Add the anchovies and cook, mashing them into the garlic mixture, 5 minutes. Add the broth and chopped tomatoes and cook 10 minutes. Stir in the pepper flakes, and cook a few minutes more to blend the flavors. Add the remaining ingredients (except the pasta) and simmer 5-6 minutes more. Meanwhile, cook the pasta until almost done, about 2 minutes shy of "al dente". Drain, and add it to the pan with the sauce. Toss, and allow to cook 2 minutes. The recipe for the decadent-looking sourdough loaf you see was I used was one I adapted from Baking Bites, and it made a beautiful loaf that even "sang" as it cooled and filled the house with such delicious smells that it felt like Christmas! It was (as you will know if you've been following my saga) my very first attempt at all-sourdough-raised bread and I could not be happier! It's a BIG loaf, so it will go a long way! Not bad for flour, water and salt, eh? I mean LOOK at it!!! I can't even start to tell you about the taste of this either - perfectly sour... you KNOW it's a sourdough but it isn't "smack you in the face with a bottle of vinegar" sour. I guess my area of "the dirty 'Shwa" as we call it around here has some darn fine yeast! My starter (which I never named... don't know why!) is the ultimate mutt - I've fed it barley, whole wheat, rye, all purpose and even pastry flour in a pinch. It's now resting comfortably in my fridge, awaiting it's next application. As far as timing it's feeding, I was on a 24-hour schedule after the first week or so, though the past week instead of discarding half and feeding the remains I'd just been adding 1/4 cup each flour and water to it. No idea what that does to the nature of it, but like I said, it's a mutt. I don't really think you can kill starter unless you really try, but at an y rate it performed even better than I thought it would! I used a towel-lined bowl for my banneton mould, and it gave the loaf that pretty texture. You can see where I got a little slash-happy, but when you don't have a lame to do it, a sharp serrated knife sure works! Thanks so much to DaviMack, Nic, and everyone at Grouprecipes who helped me out with my fears regarding sourdough!! A virtual hug, a slice of bread and a good glass of wine to you all! Now, recipe time. I took the liberty of adding some inulin fibre powder to the loaf, upping the nutrients a wee bit and making the carb load a bit easier for my stepfather. Sourdough bread is inherently lower on the glycemic index because of it's acid content (68 compared 100 for non-sourdough bread) but the extra fibre never hurt anyone! Each teaspoon has 4.5 grams of soluble fibre, and I added 2 tbsp to this loaf. If you don't have it or don't want to use it, by all means leave it out. It doesn't affect the texture or the behaviour of the dough in any way (I use a brand that's non-thickening) and if the fibre content of the bread is important to you in the nutritional breakdown, 1/36th of the loaf has 1.5 grams of fibre without it. I just use it as a "cheat" way to make white bread, cake, etc with a higher fibre content. Combine starter, warm water and bread flour in a large bowl, let stand for 8-10 hours. Stir in 1 cup of whole wheat flour, followed by the salt and remaining whole wheat flour (and the all-purpose if needed), until the dough starts to come away from the side of the bowl. Turn out onto a floured surface and knead about 10 minutes. Place the dough into a greased bowl, turning to coat. Cover bowl and allow to rise at room temperature until doubled, about 2-3 hours (alternatively, cover and place in refrigerator up to 48 hours. Bring back to room temperature before proceeding). De-gas the dough gently and shape into a round. Place dough smooth-side down into a banneton or floured tea-towel lined bowl. Cover and let rise 1 1/2 hours. Turn dough out of the banneton or bowl onto a greased baking sheet. Slash dough 2-3 times, bake for 35-40 minutes, until loaf sounds hollow on the bottom when tapped. Cool completely on a wire rack before slicing. Thanks to Teaghan for her help in setting up the gratuitous "bread innards" shot! And, if that's not enough happiness overload for you today, check out the first ever thing to come out of my garden this year! Yes, it's tiny (they don't get very big anyway), but it is indeed a White Sparkler Tip radish! Very spicy but very very delicious. That reminds me, I need to get out and weed! Happy Father's Day today to everyone out there! Today my dad and I went to one of the local golf courses with Andrew for a round of 9 holes, and we couldn't have asked for a better day for it! Sunny, not too hot or cold, not a lot of wind... we were able to relax and invent new four-letter-words as each hole progressed. I honestly haven't had more fun playing a sport in a long time! I also made my dad breakfast today. But here's the secret - he doesn't know it yet! Actually, unless he reads this post in the next, oh, hour or so, he'll be unaware until I give these to him! What are these, you ask? Well, these would be the delicious, airy vessels for butter and jam known as crumpets. Not just any crumpets, though... sourdough crumpets. Yup, the starter is at it again! Crumpets are like pancakes crossed with English muffins, as far a s I can tell, and are definitely best served toasted and spread with either butter, honey or jam for breakfast. They also make a healthy sandwich bread if you make them bigger (use them like a wrap!) and they freeze so well that there's no excuse for skipping breakfast in the morning! For me, making these was also a great way to avoid wasting more of my sourdough starter than I had to - I didn't have time to make a loaf of bread today / tomorrow! The starter's now luxuriating in the fridge until I can start the sponge tomorrow night. Wish me luck on my first sourdough loaf adventure - I'm sure I'll need it! Mix all ingredients together in a medium bowl. Heat a dry nonstick skillet over medium heat. Drop dollops of batter in, and cook until tops are set. Serve immediately or cool and freeze in plastic bags. I'm completely puzzled as to how my mind got into this track of thinking, but today I was all about wedding meal planning. 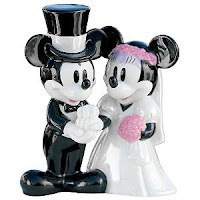 Even though Andrew and I are officially engaged (and have been sin ce August 2006), any matrimonial to-dos were thrown off course by my untimely downspiral into medical Hell and my subsequent loss of both job and college plans. That never really stopped us from dreaming about our future, but these days it's been mostly a "when we win the lottery" style of thought process. Today though, my mind was on (of course) the catering options we'd have. Or, to put it more accurately, the catering options I'd have. Given my rather detailed (and irritating) intolerances to oils, meats, egg yolks, dairy and nuts, it pretty much cancels out any regular menu, not to mention a wedding cake. My mom and stepfather graiciously offered the use of their huge backyard for the reception, which by the time the wedding bells ring will be nicely fleshed out with various flowers and trees, so with that setting in mind I allowed my thoughts to drift to a "Cocktail and BBQ" style reception - that way we can have finger foods like sushi and tea sandwiches, along with salads and some hot meat-, seafood- and veggie-based entrees (ideas, anyone?) that could be made with minimal to no oils or sauces so that I could have them too! For a cake, what immediately sprung to mind was a berry-laden, lemony angel food cake. I don't think anything could say summer romance more than that! I looked up angel food cakes for weddings, and was disappointed to find that it's not a very popular choice with bakeries. Apparently, they are difficult to assemble and transport (which personally I find hard to believe, having schlepped my share of them to various locations in Ontario). Am I out of luck when it comes to having a wedding cake made that I can eat? I'm not really that adverse to making one for the cutting ceremony (even though in reality I know it's probably not a good idea! ), especially if it means I get cake on my big day too! Anyways, those were the things that ran though my ever-racing mind today. I haven't talked to Andrew about any of these thoughts (seeing as he's busy graduating up in Ottawa right now), but when he comes home I'm interested to hear his thoughts, and anyone else's too! I baked muffins today as well... so if I have time after coming home from my trip to Toronto's Chinatown (Spadina district) with my dad, I'll pass them along as well! Hi again! I've been cooking but not writing again (yes I know, how bad!) but indulge me for now, I'm trying to re-organize my blog's layout so things may be a bit quirky around here for a bit! Tonight I'm bringing you the latest reincarnation of my favourite Irish Soda Bread recipe, which came from the Bread Book by Susan Wright. It was almost a whole year ago that I shared the original recipe, a slightly sweet, buttery, crisp crusted and dense loaf that went perfectly with everything from peanut butter and jam, to honey, to Dijon mustard and ham! I figured it was time for a revamp. I had cooked off a bit of quinoa last week with the intention of using it in a yeasted bread (which I never made) and I was getting tired of it taking up my fridge space. I also had (well, still have) leftover vegetable juice from the failed gazpacho experiment and some nutritional yeast that was calling to be used (unlike most of the other vegetarians and vegans that seem to be out there, the taste of NY is a bit off-putting to me. Andrew doesn't mind it in baked goods, so far as I know, so that's where a lot of my stash [from the beginning of my mostly-veg life] winds up). I opted to turn this bread more savoury than sweet as a result, cutting the added sugars in the recipe to 1/4 of the original quantity, adding olive oil in place of the butter, and adding hot pepper flakes and a pinch of oregano to the dough as well . The buttermilk in the recipe was replaced completely with the veggie juice, making the dough a vibrant salmon colour, which mellowed to a rather appetizing burnt orange as it baked. The egg was omitted completely, simply from the fact that I didn't have any that I could use at the time (with a family [and step-family] like mine that eat a minimum of 4 eggs between them every day, they're a precious resource), and I don't think the bread suffered at all. Instead of two round loaves, I opted to make 8 hamburger-bun size rolls so that my dad and Andrew (the lucky victims...I mean... recipients of this experiment) could use them for sandwiches or burgers if they wanted to. Andrew's up to Ottawa tomorrow morning for his graduation ceremony, so this is good road food for him if he wants to escape the inevitable roadside lunch stop that is the Tim Hortons / Wendy's / Mr. Sub franchise. I still have plans to make more bread, I'm hoping to get a sweet enriched one out soon, but with everyone's schedules so crazy due to the end of high school classes and their exams, it may be a week or two before that happens! As for the sourdough starter, it's still alive and kicking! I found a good-looking, fairly straightforward dough recipe on Baking Bites, so it's on my to-do list (with those crumpets too!). For now, though, here is a slightly faster, pinker shade of bread, which is taking part in next week's ARF / 5-A-Day event at Sweetnick's. Preheat oven to 375F, lightly grease 2 cookie sheets. Mix together flours, baking powder, baking soda, oregano, pepper flakes, quinoa and nutritional yeast in a large bowl. Add in olive oil, honey, and V8.Beat until very well blended, adding a touch of flour or juice as necessary (you want a slightly sticky and soft but workable dough). Flour a kneading surface and turn out. Knead about 10 minutes, until fairly smooth. Allow to rest about 10 minutes. Divide dough into 8 buns (for hamburger-size) or 12 (for dinner rolls), roll into balls and place on the cookie sheets spaced about 2" apart. Score the top of each bun 1-2 times. Bake 25 minutes, then remove to a wire rack and cool completely. Andrew and I went to the Brooklin Fair yesterday to watch the Demo Derby (and a car without a tire won! ), and he brought me a Tim Horton's Camp Day plush puppie, and even better, a can of THESE!! Ohh, yes, my friends, the good, UK-made, delicious things that are Baked Beanz. It is super hard to find the single-serve cans of them here (which I value because then I don't wind up with half- or 3/4- eaten cans lying in our fridge)... and in fact I have an online resource that I was just about to order from when he told me! 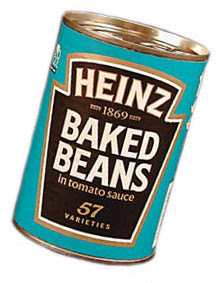 Ironically, Beanz were first imported to the U.K. from Canada until 1928. Then they got all "local" and started making their own (IMHO) better Beanz - which they didn't export! The Canadian ones just can't compare... Sigh. Ivonne from Cream Puffs in Venice... I can never get enough of her blog! Roasted Tomatoes to make my own veggie packed version of tomato soup. Delicious! I've also got her Chocolate Lavender Cake earmarked! Susan from Food Blogga... her events are so much fun! Ivy from Kopiaste...to Greek Hospitality for being one of the nicest bloggers and GroupRecipes writers I've ever spoken to. Susan from FatFree Vegan Kitchen... her recipes have made me enjoy food again! Stefanie blogging from Cumin & Coriander... especially for giving me this recipe!! Tartlette for showing me the wonders of macarons! 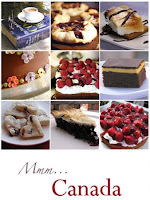 Myriam from Once Upon A Tart - the photography is stunning and the recipes divine! Julia from A Slice of Cherry Pie... her writing is as wonderful as her photography, and she fights hunger too!! Cakelaw from Laws of the Kitchen for making me drool! There are SO many more awesome people out there, but for now, ten of them get an extra gold star! Okay... onto other things I did! Including turning on the oven... oh, you bet I did... 34C weather be damned! So, anyways, you know that starter that's been kick'n around for the past 9 days?? Well, I finally decided it was time for it to earn it's keep. After all, it's caused me some anxiety attacks in it's early stages! "But what?" came the voice of my Cheshire Cat-like brain, "you don't have time or enough experience for a loaf... and God knows if that piddly thing in a jar you call sourdough will even raise it!". Okay, bread was out. Thankfully, the blog-o-sphere was to the rescue! Particularly, a certain Breadchick, whose Bread Baking Babes have concocted zillions of baked loaves and rolls so far and who put out a wonderful sourdough tutorial for the lot of us... including the base for this coming recipe. Thank you so much!! Preheat oven to 400F, grease 12 muffin cups. Whisk together the flour, baking soda and spice in a bowl. Seperately, mix the brown sugar, starter, egg, vanilla, maple extract and apple sauce. Gently mix the wet ingredients into the dry, just until mixed. Obviously, the acidity in the starter is alive and kicking!! They're perfect and smelled just like the best, freshest o atmeal-raisin cookie! I may make a few more batches before getting a loaf under my belt, but I didn't kill it!!! Yay!! Oh, and I did a great big happy dance when these came out of the oven. The cat was not amused that I woke him, and probably even less so that I took this photo. It is officially, stupidly hot here in the "dirty 'Shwa". It hit 32C (90F) here today, and even in our air-conditioned house the three humans were sweating buckets and the fuzzy creatures were anything but comfortable. Luckily for us, while my poor mom and the animals were stuck at home my sister and I managed to escape to the local mall for an hour where it was blissfully cool (well, for me anyways... Teaghan still complained she was hot). Needless to say, the tomato-quinoa bread recipe that I had concocted last night in my dozey stupor did not get made, nor did any sort of sourdough biscuits, cookies or muffins. I only had the stove on for 20 minutes total today to make my dinner, and even that was too long! Making lunch was much more comforting, heat-wise. Using up some of the languishing veggies in our crisper (even they were feeling the heat and humidity!) I made up this deliciously crispy and tangy Asian-esque salad. It's based on a Weight Watchers recipe from way back (pre-POINTS days, at least) but I swapped some stuff around (didn't have miso paste, so used an equal amount of soy sauce, and I added some leftover cooked bay scallops too) and enjoyed a deliciously cold, healthy meal. In a large bowl, toss together carrots, tomatoes, cucumber and scallions. In a small jar, whisk together the remaining ingredients. Pour dressing over the vegetables and refrigerate 1 hour before serving. I was also fortunate enough to recieve awards from Valli at More Than Burnt Toast, which I will detail for you tomorrow before I head out to the Brooklin Fair with Andrew and Teaghan to watch some serious demolition derby action! Thank you in advance to you, Valli! This is bad... I really haven't been doing much by way of cooking these past few weeks, and I don't know why! And by the looks of the future weather reports (up to 30C tomorrow an d all weekend?!) I don't think turning the oven on will be looked on favourably by the rest of my family. However, that isn't going to stop me from testing out monsieur starter soon - he turned a week old today and is smelling nice and sour, though it still doesn't double after a feeding (the photo is about 2 hours after being fed... nowhere near twice the volume!). I'm thinking maybe a quick batch of biscuits to test it's mettle. I hope it gathers strength soon, I want to get some bread out of that sucker! Being that it is going to begin baking outside in the near future, I've been turning my attention to colder foods - namely popsicle-type treats. While my standby frozen favourite by far is Tofutti's Fudge Treats (they're nice and creamy, low in sugars, and fat free... what more could you want?) I came across a similar recipe at the blog Tiny Morsels that's made with carob and tofu, which is more nutrient rich than my storebought kind (and going along to Cate's ARF / 5-A-Day event!). I'm definitely going to give it a try, though in the variant that I'm passing along today... I don't have erythritol or agave nectar in my pantry. Any way you make it, these are easy, rich and creamy - a decadent way to cool down. Combine all ingredients in a food processor or blender, and pulse until smooth. Pour into ice molds and freeze solid. And if you like the nut and chocolate combo idea, here's another recipe I stole... I mean... borrowed off of the Almond Board of California and modified to my tastes. This rich, smooth espresso and chocolate ice "milk" is filled with chunks of toasted almonds for another delicious summer snack - but unlike the ice pops, this one should be eaten with a little more restraint. Though almonds are a healthy fat, just 1 oz (or 24 nuts) has 14 grams of it! Not the greatest idea (in large quantities) if you're trying to cut down fat in your diet or, like me, you can't eat that amount without suffering! It is, admittedly, a lot better than eating processed cheese or frosting from a can (which I did as a 14 year old... the frosting, not the cheese). I'd use Unsweetened Vanilla Almond Breeze mixed with cocoa or carob powder for the chocolate almond milk here, since we don't get the Unsweetened Chocolate here yet (I just found the vanilla today!!). Whisk together 1/2 cup the almond milk with the espresso powder in a large bowl. Whisk in remaining milk and sugar. Freeze according to ice cream machine’s instructions, adding almonds when mixture is nearly frozen. Alternatively, divide mixture among waxed paper cups and cover each with plastic; poke a wooden craft stick through plastic and freeze to serve as pops. My starter is turning into a fruitcake. I'm sure of it. Instead of beer, it's beginning to take on the aroma of apple cider. It still rises, and is still bubbly and producing "hooch"... so i'm pretty sure it's still alive. Maybe it just doesn't like beer? ... or, why this blog will never be cupcake - or photo - central. I hate it when good recipes happen to bad chefs. Especially when the bad chef in question is, well, me. Let me explain. I had good intentions with this cake recipe I had invented, planning to bake it into cupcakes this past weekend. It was all a test - would it work as a recipe in general, would the flavours be there, would the texture be what I was after, and most importantly, would Andrew like it? This was, after all, the recipe I intended to use for his birthday cake in July. It was a brilliant idea - take all the things in the Lindor Stracciatella chocolate truffle (which so happens to be his favourite chocolate) and mould it into a moist, fluffy cake with a rich frosting. What happened, as far as the recipe was concerned that is, was a complete success. I didn't scorch the chocolate, cut myself or bash my fingers when breaking up the cookies, nor did I forget to grease the tins, nor did I burn the cupcakes in the oven. Where I failed, miserably, was when I got to the part of baking that involved unmoulding the miniature puffs of sweet heaven (as I named them when they began to aromatize my kitchen, and therefore, house). I failed to note that cakes, even miniature cakes, should cool partially in their tins before being turned out. As you can see, disaster struck, and resulted in some mangled, but still tasty from what I'm told, goodies. I saved most of them, let them cool completely, and packged them up so I could frost them the next morning. No problem there! The next day, I proceeded to exemplify exactly WHY I don't decorate cakes (or any other matter) for a living. Apparently, even with my biggest pastry tube (an Ateco #6 star), small crumbs of cookie do not like squashing through there! I resorted to a spoon - and - smoosh method of icing the remaining cakes, then topped them with the last bits of whole Teddy Graham cookies that I had left over for what I hope looks like a decent presentation. Sad the photography may be, but as far as taste was concerned, it got thumbs up from my mom: "rich but not heavy... moist not wet... loved the bits of cookie too... the icing was good... My favourite part is the bear, he's cute!" (Thanks Mom!). Andrew gets his portion of cakies tomorrow (I was, and still am as of now, too sick to drive today so couldn't d eliver the goods), so I'm eagerly awaiting the verdict from him! This is a labour intensive recipe, and will probably stick you in the gym for a few hours burning it off, but it is worth every bead of sweat and extra calorie when you pull it off. The buttermilk cuts the cloying sweetness of the white chocolate and sugar just right, and there weren't even any eggs to crack! The purists out there can use butter, I just chose shortening because I wanted the white colour to stay in the cake as much as possible. Preheat oven to 350 degrees F. Grease and flour two 9 inch round cake pans. Melt the white chocolate, being careful not to scorch it. Set aside to cool slightly. Whisk together the flour, baking powder, baking soda and salt. Separately, cream the shortening and white sugar. Beat in the melted white chocolate, the applesauce and the vanilla. Mix the cream and buttermilk together. In three additions, with electric beaters, alternately beat the flour mixture and the milk mixture into the creamed mixture. Fold in cookie chunks by hand. Bake for 30 minutes, or until tests done. Allow to cool thoroughly in tins before turning out. Beat shortening in large bowl with electric mixer at medium speed until fluffy. Gradually beat in 3 cups sugar until well blended and smooth. Beat in cream, then slowly add remaining sugar until blended. Invert one cake layer on serving platter. Top with a layer of the frosting, then place the second cake layer (right side up) on top. Use remaining frosting for top and sides of the cake. For best results, refrigerate at least 3 hours before serving. Happy Early 21st Birthday, Honey! Yay! Blogger's letting me post again! I had intended to put this post up last night but lo and behold, the Blogger load screen crashed my whole laptop. Not once, not twice, but three times. So I gave up, at midnight, and had to scramble to write down the recipe since I didn't actually pay attention to what I was doing with these cookies - baking by feel is just what I do (screw the theory about it b eing more science than art - someone has to experiment). Actually, experimenting is high on my "to-do" list as of late - not only am I working (dilligently!) on a sourdough starter, I have some plans to make macarons and marshmallows later on too! Tomorrow (if I'm not feeling lazy) I'll be sharing with you my cupcake capers when it came to testing out Andrew's birthday cake recipe out (his birthday isn't until July, but I had never made the recipe before, and beyond that, it was an invention of mine... eep!). So yes, cookies. These actually started (like most of my baking inventions) with a trip to the Bulk Barn last Wednesday. I still get the 10% student discount (thank God for college!) so I use that opportunity to wander the aisles and pick up a thing or two that happens to tickle my fancy. Well, discounts and sales abounded this past week, and I wound up with this motley crue: shredded (unsweetened) coconut, dried blueberries, whole flax and sesame seeds, and Goji berries! For those who don't spend their Wednesday mornings trolling the bulk bins (yes, I know I have no life! ), Goji berries are fruits of an evergreen shrub found in China, Mongolia and in the Himalayas in Tibet. They are nightshades, like tomatoes and peppers. Rich in antioxidants, like beta-carotene and zeaxanthin (as well as 500 times more vitamin C per ounce than oranges), they have also been reputed to help with liver and eye function, and even weight loss. Check out some more neat facts here, if you'd like. This week I also stumbled upon a new event being co-hosted by Ben of What's Cooking and the wonderful Ivy of Kopiaste, called Fat Chefs or Skinny Gourmets?. It, like Cate's ARF / 5-A-Day event (which will also be recieving this recipe), focuses on healthy eating and lifestyles, but with more of an emphasis placed on the lower-calorie and -fat ends of the spectrum, without sacrificing taste or enjoyment of what we eat. These biscotti are naturally low-fat, being a variant on my previous egg-free biscotti, and they have all the added goodness of the fruits, seeds and coconut. I used the potato milk again, and I probably will make another few loaves of bread or so to kill the carton. Good ingredient it may be, but I just can't bring myself to drink it! Preheat oven to 375F, place the rack in the upper third of the oven. Mix the flour, cornstarch, baking powder and salt in a bowl. Seperately, beat together the sugar, milk and extract. Add the dry ingredients and beat until well incorporated. Stir in the coconut, Goji berries, blueberries, flaxseed and sesame seeds. With floured hands, shape into a slightly flattened log and place on a lightly greased and floured cookie sheet. Bake for 20 minutes in the upper third of the oven. Cool completely. Reposition the oven rack to the middle position. With a sharp serated knife, cut log into 1/2" wide slices. Bake for 5 minutes, then flip and bake 5 minutes more. If you count Weight Watchers POINTS, it works out to 1.5 of them(in the American-formula) per cookie. Not too shabby for a sweet, all-natural snack with your tea! And finally, as for this shot, it is an entirely gratuitous, look-at-me interior look at this bread that I made for Susan's event a while back. Yum, no?